Ever wondered how many different ways people can find to say, “this video game is hard”? Then oh boy, Cuphead’s Steam reviews are gonna be a treat for you. 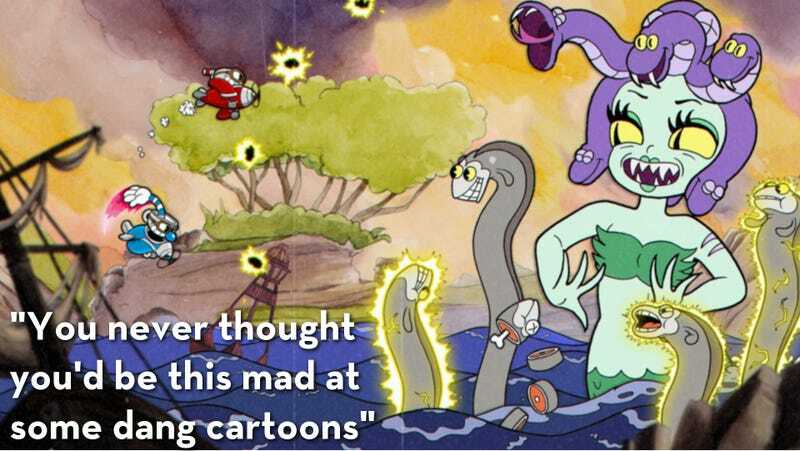 In our review, Heather wrote that she mostly enjoyed Cuphead despite (and also because of) the difficulty. Sure, bosses had a few cheap attacks, but she came to view each boss fight as a performance, and each do-over became an opportunity to tighten a movement here or time an attack better there. You might have also noticed that Cuphead looks and sounds preposterously nice. Heather noticed that, too. The game’s Steam reviews are surprisingly uniform, in most respects. People broadly agree that Cuphead is a) pretty and b) pretty damn hard. Things get contentious, however, when the discussion shifts to whether or not this particular style of difficulty is fun or not.